The exception that can be predicted by the programmer.Example : File that need to be opened is not found. 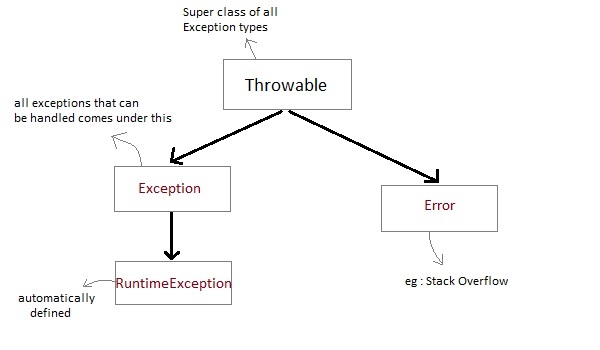 These type of exceptions must be checked at compile time. Errors are typically ignored in code because you can rarely do anything about an error. Example : if stack overflow occurs, an error will arise. This type of error is not possible handle in code.